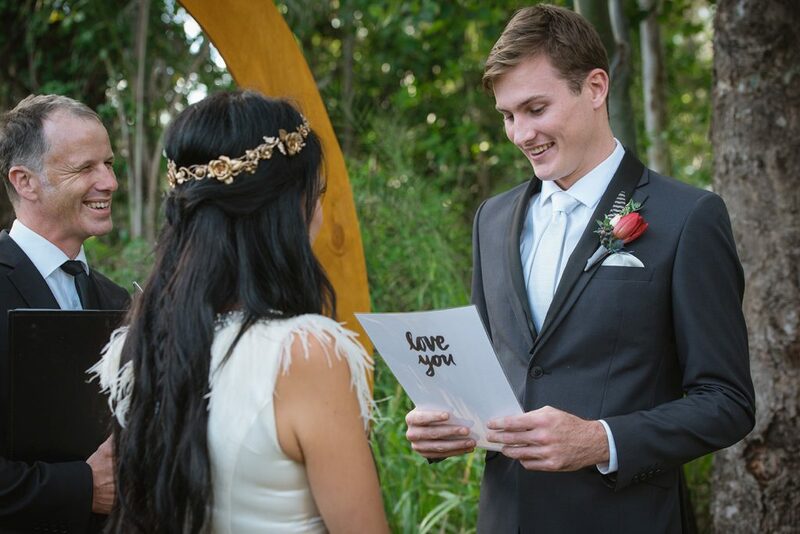 It was such an honour to be invited to collaborate with such a passionate team of Brisbane Wedding Vendors for this styled intimate romantic woodland wedding shoot and what a fun day it was too! 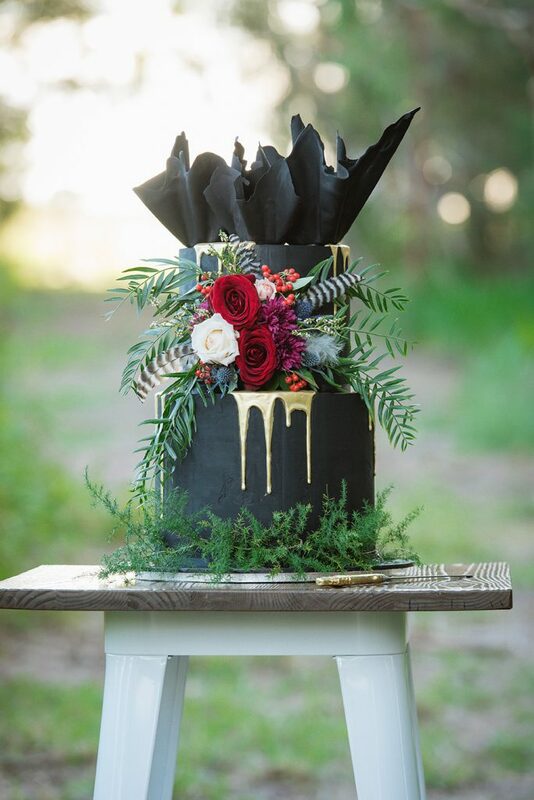 Janette from Olive Rose Weddings & Events was the visionary behind this shoot and being a dog lover myself it was great to have a very special guest ‘Fury’ the dog to join us, all dressed up with her very own flower crown made by florist Miss Popsy. 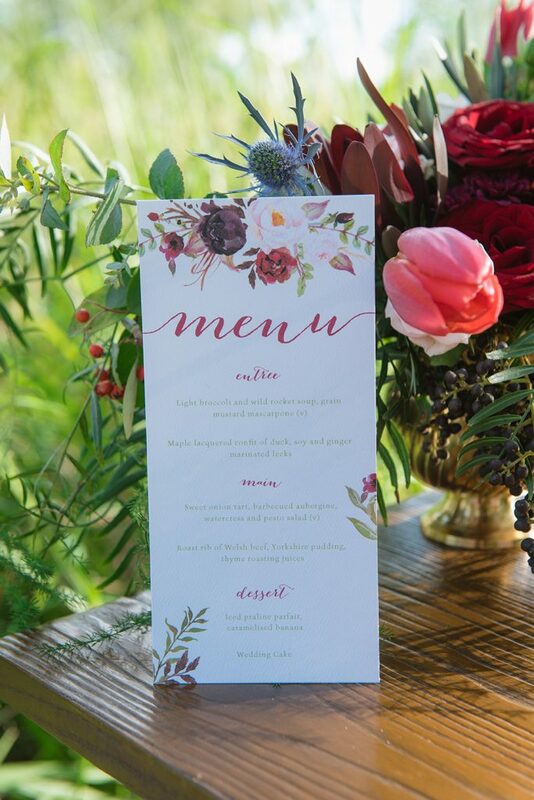 The floral design on the stationary by Paper Alphabet replicated the floral arrangements to precision! 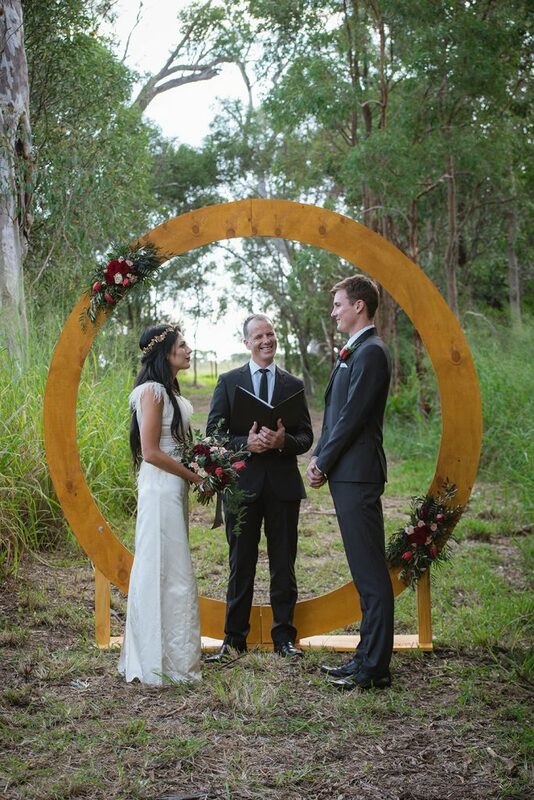 The wooden circular arbour designed by ceremony stylists Brisbane Wedding Decorators was adorned with fresh floral and feather arrangements by Miss Popsy, perfectly framed the bride and groom and created a truly romantic setting for both the wedding ceremony as the bride and groom read laughed and shared vows with each other. 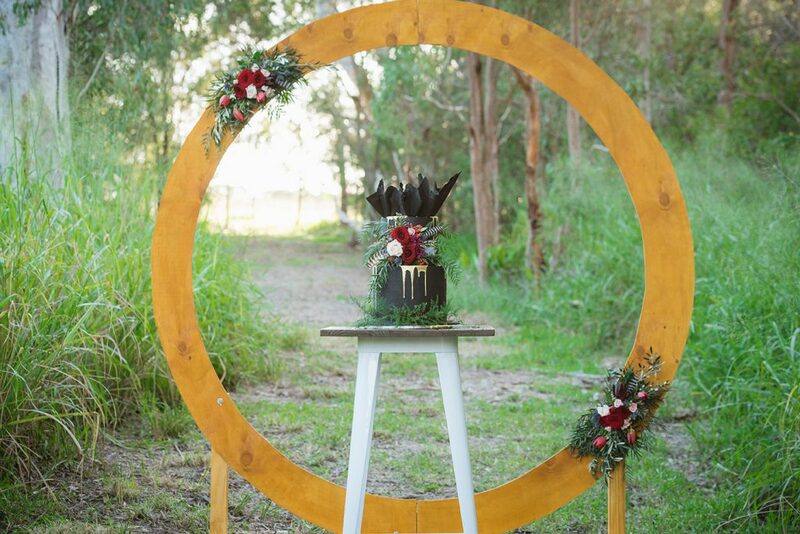 The circular arbour also created a gorgeous backdrop for the cutting of the amazing black and gold cake by Cake My Day By Jo. 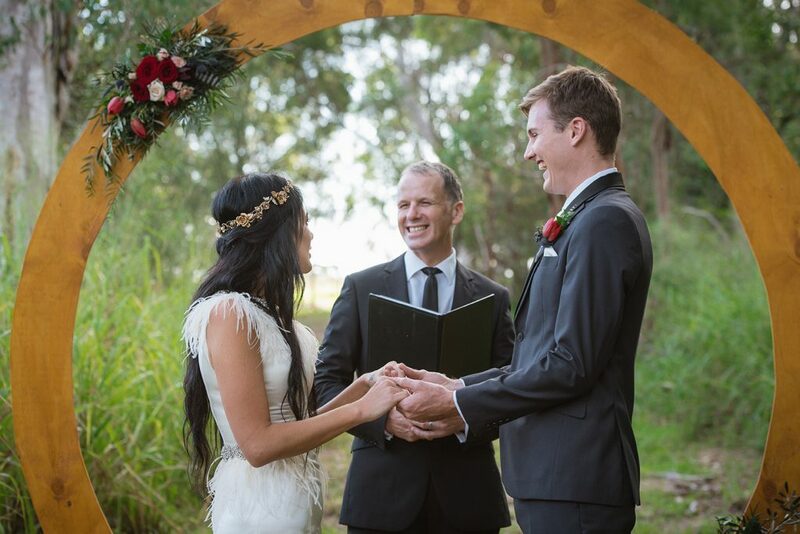 The bride was dressed by Jordanna Regan Couture with gold hair accessories and earrings by Wendy Louise Designs with hair and make up by the lovely Lainie Hogan. 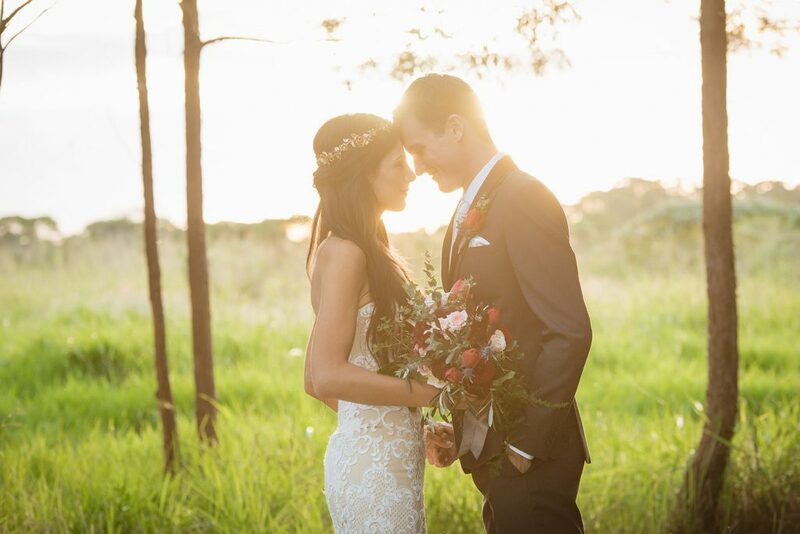 The groom was dressed by Black Jacket Suiting and together they looked picture perfect for a romantic woodland wedding as Wendy B Photography captured them posing playfully in the long grass fields as the sunset. 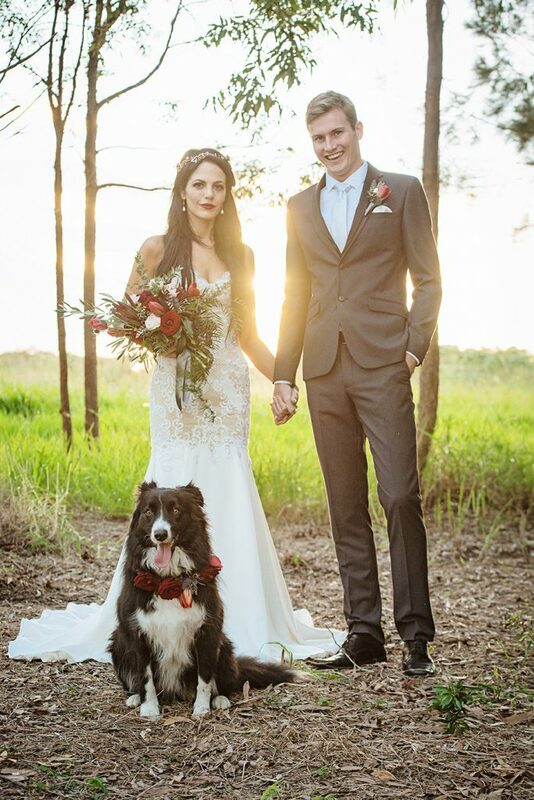 Special mention to the models who brought the woodland wedding shoot to life, Amanda Vos, Joe Somers and Fury the dog. 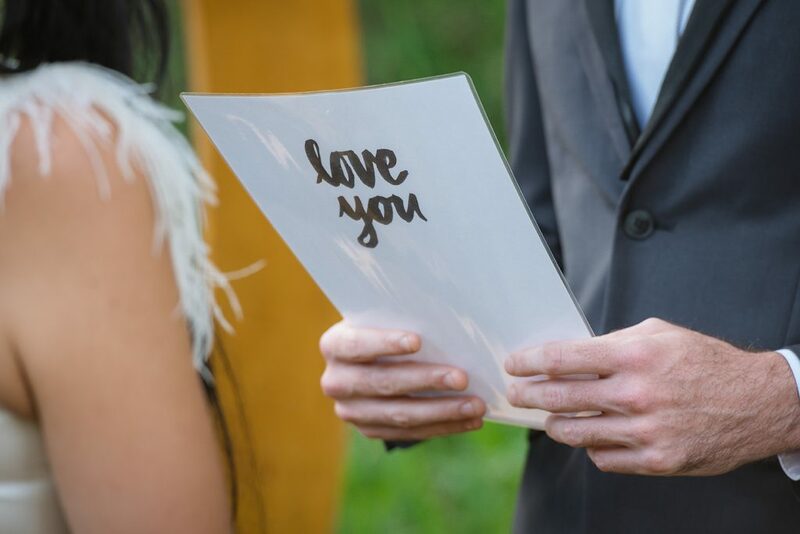 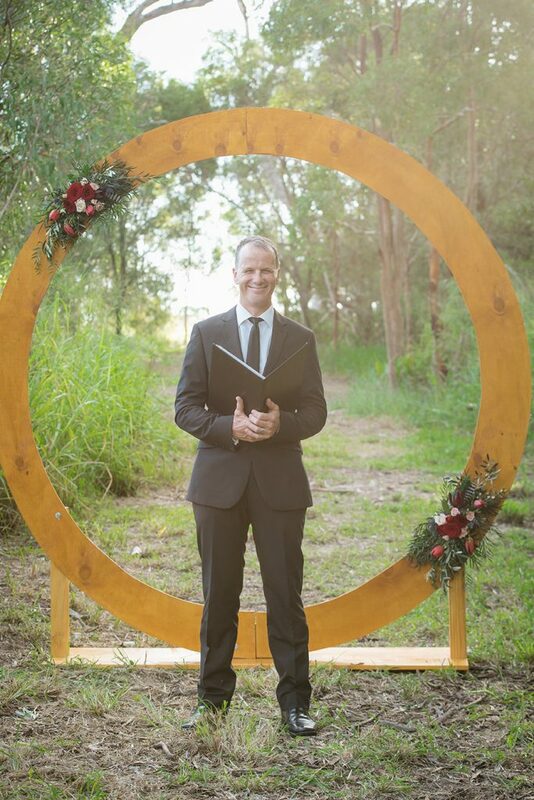 If you are looking for a Celebrant for your special day, be in a woodland wedding or otherwise, Jamie Eastgate would love to hear from you, contact him now to confirm availability for your special day.